Hero MotoCorp, India’s and World’s largest 2 wheeler manufacturer is expected to launch a new 125cc scooter. Reports from automotive portals like IBTimes revealed that the Indian 2 Wheeler manufacturer could be very likely launching a new 125cc scooter in December 2017 ( 18th December to be specific). This move from Hero was very much expected as its biggest competitor “Honda 2 Wheelers” has launched the Grazia 125cc scooter recently. When compared to the Honda Grazia, Hero’s upcoming 125cc scooter is expected to get youthful, stylish design borrowing elements from Vespa and Yamaha Fascino ( The retro look to be specific). More and more Indian customers are preferring to own scooters as against to motorcycles because of usability and convenience reasons. For the manufacturers it has become an automatic choice to introduce scooters and to follow the trend. TVS Motor Company, another popular 2 Wheeler manufacturer in India that manufacturers 110cc “Jupiter” scooter too is expected to launch a brand new 125cc scooter in India. Although no manufacturer has made an official announcement about the new launch – the reports are pretty evident that it is going to happen and consumers have even more wider choice to choose from different 125cc scooters. Along with the launch of 125cc automatic scooter, Hero Motocorp will be also launching Xtreme 200 S motorcycle in India. Hero’s current Scooter portfolio consists of Hero Maestro Edge, Hero Duet and Hero Pleasure in India. 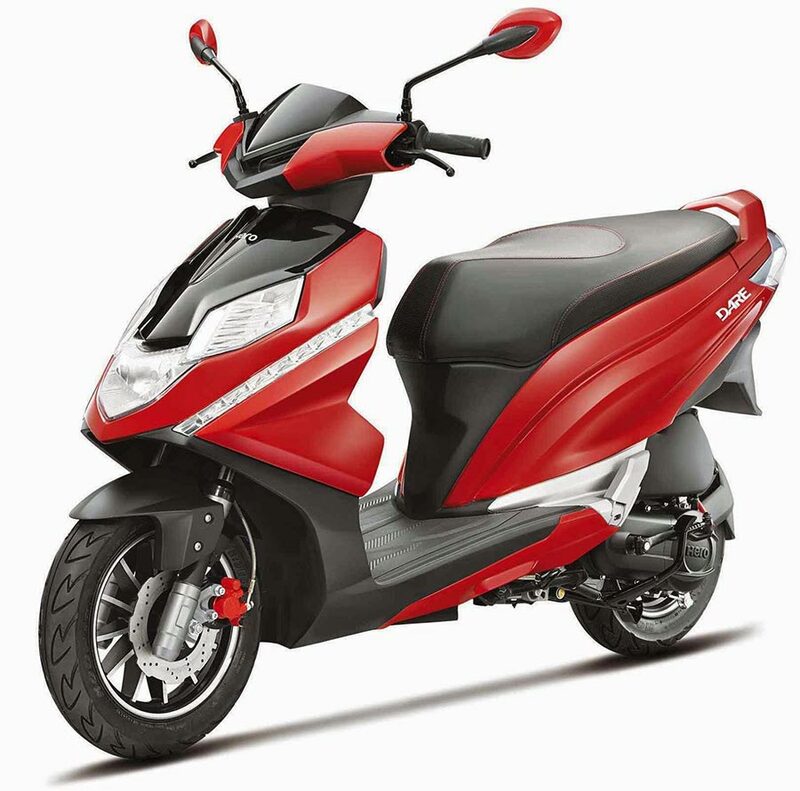 Currently Honda’s Activa 125 scooter and Suzuki’s Access 125 scooter dominates the 125cc scooter market.